The Department of Geology is pleased to announce the acquisition of a seismic array. Thank you Paragon Geophysical LLC for this great donation!!! 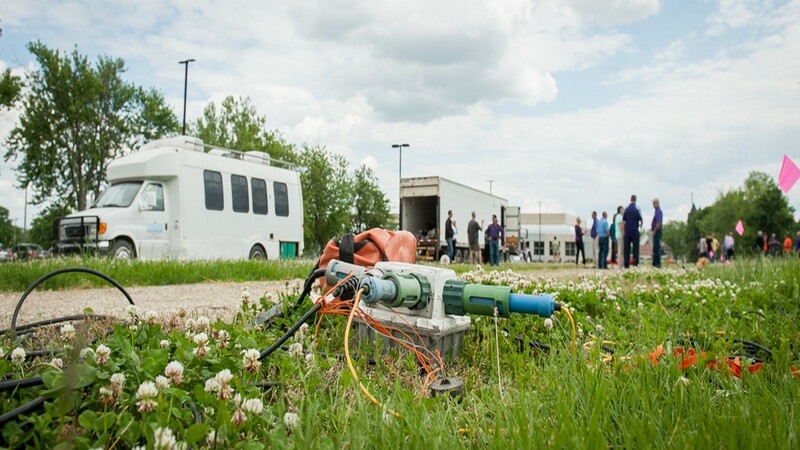 In support of the Petroleum Geology and Exploration Geophysics teaching and research program in the department of Geology, Paragon Geophysical LLC donated a 1000-channel seismic data acquisition system to K-state. Thee dimensional (3D) seismic reflection method is an indispensable hydrocarbon exploration and development method, where such seismic systems are used to gather structural and stratigraphic information on the subsurface rock formations. This seismic system is expected to enable field experiments and training, providing significant research capabilities. Several industry partners have already expressed interest in collaborating with Drs. 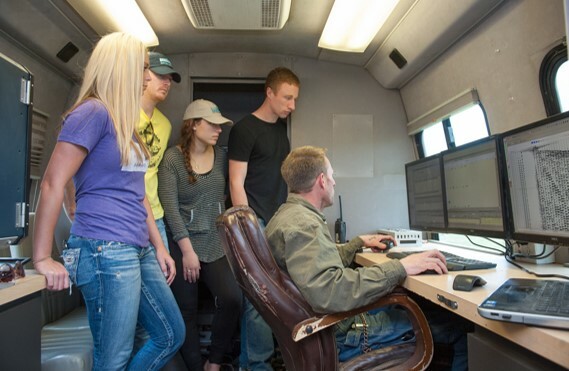 Raef and Totten to help granting field access for seismic field experiments. I hope the department can use this instrument to look at geotechnical issues relating to foundations. I have found geophysical methods useful for quickly defining sites for industrial facilities. Geophysics can be used to target anomalies for actual drilling and testing. Drilling and sampling is expensive. If you would like more on this subject, please contact me. I am glad that you use geophysics in your site investigation. We have research (e.g. http://www.sciencedirect.com/science/article/pii/S0926985115002177) and teaching (GEOL642 Field Geophysics) content with focus on site investigation. I will be glad to collaborate with you towards enabling our students to learn from experiences of others and contribute to the knowledge in the area of Engineering Geophysics.